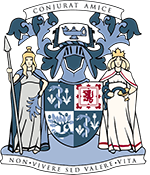 We have recently started a project to match eligible books from the College Library to the English Short Title Catalogue (ESTC). ESTC is a union catalogue of materials printed in English, or in English-speaking counties, up to the year 1800. With the help of a volunteer, we are matching records on our own catalogue to records on ESTC, and submitting reports of our holdings, along with details of copy-specific features such as provenance marks, bindings etc. The aim of this project is to make our collections accessible to a wider scholarly audience. ESTC is well known and widely used, and researchers are much more likely to begin a search there than come directly to our catalogue. Looking at our records one-by-one also helps us to spot mistakes that may have crept in to the catalogue, and allows us to identify rare or potentially unique items. One such discovery has been made already. 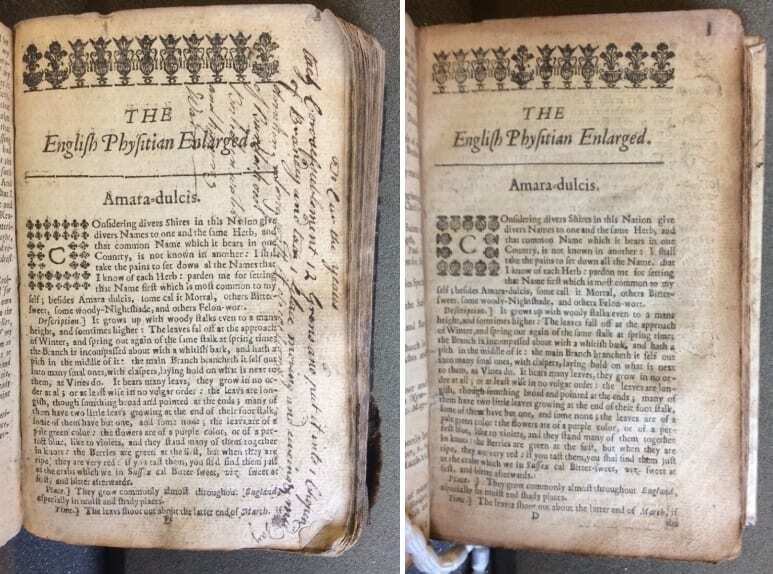 The College holds two copies of ‘The English Physitian Enlarged’ by the 17th century physician and botanist Nicholas Culpeper. Both were printed in 1656 and purport to be the same edition, but are in fact different in a few key ways. The first and most obvious way in which they differ is in their bindings. Copy 1, bearing an older ‘Faculty’ bookplate, is in a rather poor state, barely covered by a binding of limp calfskin. It resides on the shelf in an acid-free phase box to protect it from further damage. Copy 2, with a slightly newer ‘Royal Faculty’ bookplate, is in a more robust, if slightly warped, vellum binding. The remaining differences are a bit more difficult to spot. On the title page of copy 1, the author is described as a gentleman student of “Physick and Astrology“, whereas in copy 2 he is a student of “Physick and Astrologie : Living in Spittle Fields.” The information provided about the printer also varies slightly. Copy 1 is printed by Peter Cole “at the sign of the Printing pres in Cornhil, neer the Royal Exchange” while copy 2 is also printed at “Leaden-Hall”. These minor variations continue throughout rest of the book, particularly in the pages preliminary to the main body of the text. Some of the pages are mis-numbered, but in different ways in each book. Although the same type fount has been used for both impressions, different tools have been used to insert woodcut borders and decorations. The main body of copy 1 opens with a woodcut initial ‘C’ surrounded by fleurs-de-lis. Copy 2 is almost identical, save for the use of thistles in the border instead. Different woodcut initials in the two impressions of ‘The English Physitian Enlarged’. These differences are, of course, relatively minor. They would not have made much difference to the experience of a contemporary 17th century reader. 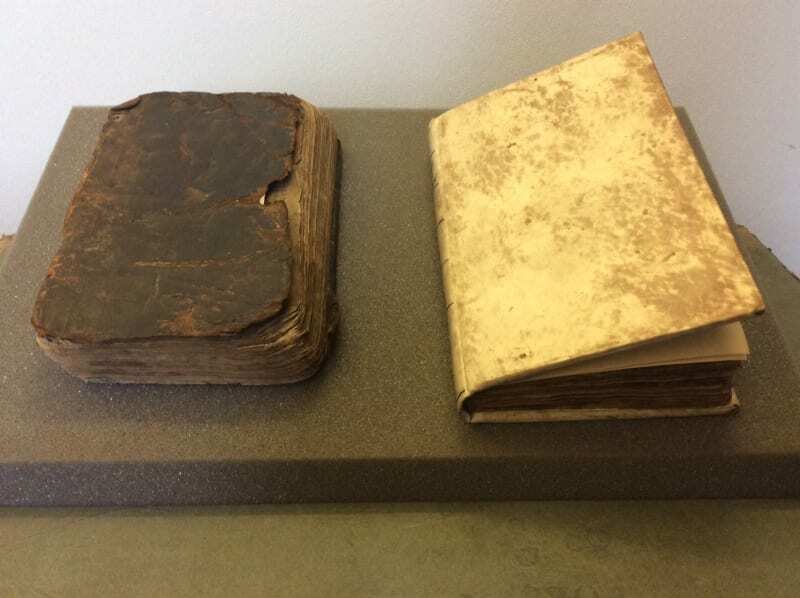 Comparing them today, however, can help us to draw some conclusions about the number of impressions produced of this book, and perhaps even speculate about the practices of the printer. 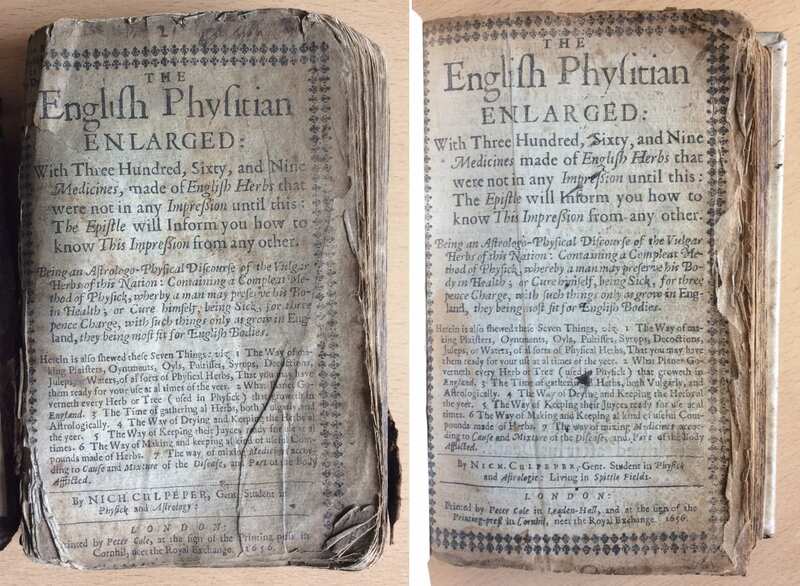 ESTC currently lists three different impressions or editions of ‘The English Physitian Enlarged’ from 1656, with small but important differences between each. Our copy 1 has been matched to the record with citation number R216330, but copy 2 appears to be a previously unrecorded impression. We have submitted a ‘new item’ report to ESTC and hope to see our possibly unique item appear on the catalogue soon.